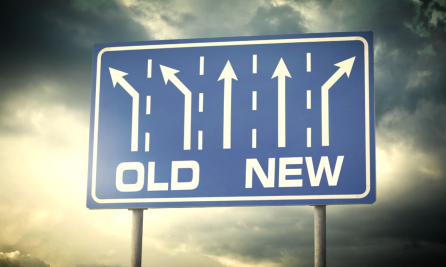 Is the loyalty industry the right place to look for « new » things? The other day, I was confronted with the typical question of an investigative journalist. « What is new in the travel loyalty market? » But does that question make sense at all in the context of loyalty programs? Or should it make sense? Her conclusion was surprising at first glance: « But these are the same topics as ten years ago! » But after some further reflection, her remark was not only to the point, but not really surprising either. While typical consultants are eager on defining new trends and selling them to their « victims », this does not mean that they are necessarily right. I am highly careful when I hear somebody talking about the latest trend in loyalty, the next big thing or Loyalty/CRM 5.0. I have seen too many of them. Usually, it becomes very quickly silent about such things again – or they don’t really represent this major importance and are dangerous as they distract the attention of management from more important topics they should focus on. Or if they are supported with sufficient marketing dollars, they can actually do real harm to programs – see the spin-off debate with the resulting destruction of loyalty. As a matter of fact, loyalty is a « business » model, which has just been working perfectly fine for decades, if not more, because it responds perfectly to very basic human instincts. And as any coach of a sports team knows, never change a winning team. We might be in a boring industry in a sense that it has no need for permanent self-reinvention as it already has found the right balance – but as long as it is successful, what is really bad about that? Loyalty is an industry that needs to evolve, but not to change. It might be a small distinction, but a crucial one. Anyone entering the loyalty industry as « disruptor » is probably in the wrong place from the outset. In a certain sense, the loyalty business is hence old-fashioned and may not the best playground for journalists or consultants looking for new things.